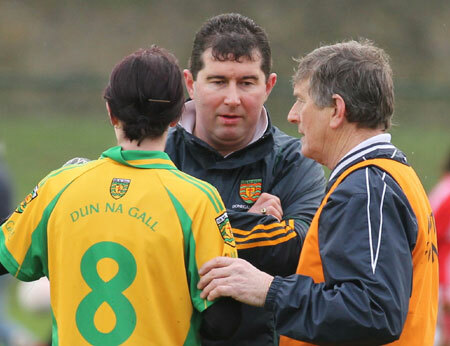 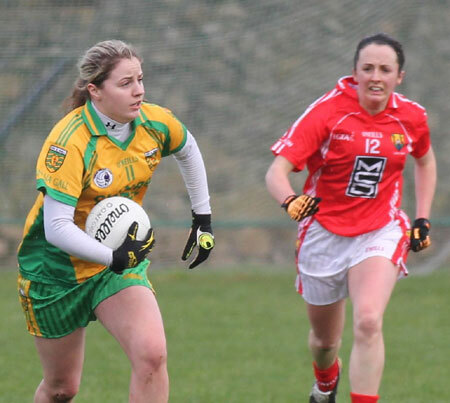 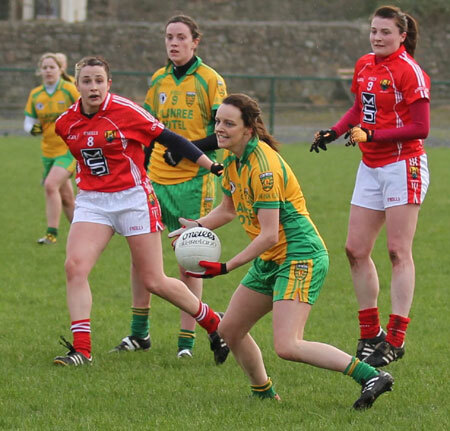 Donegal, a much weakend force since last year due emigration and departures, were beaten by 11 points by All-Ireland champions Cork on their NFL visit to Ballyshannon. 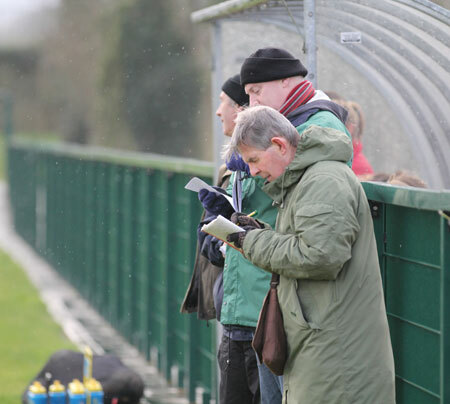 The score line is deceptive as the game was far from one way traffic. 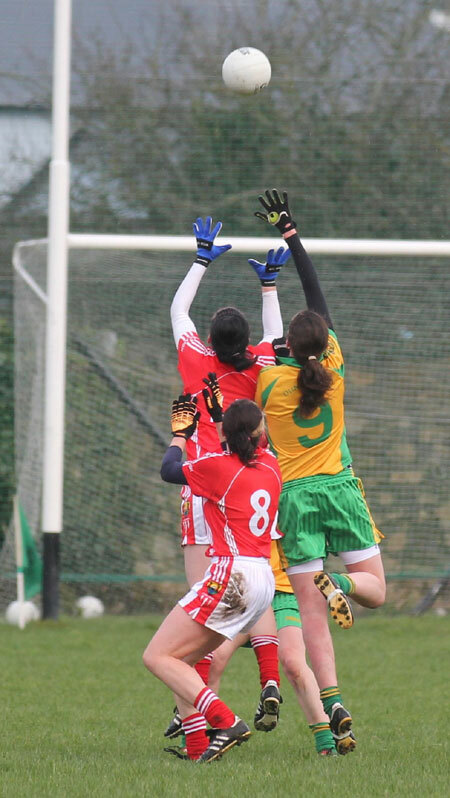 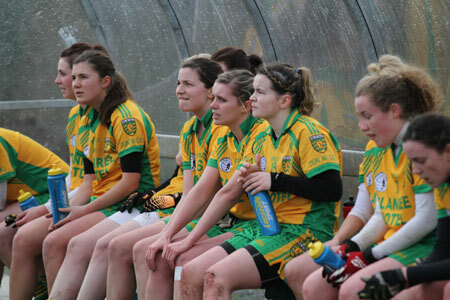 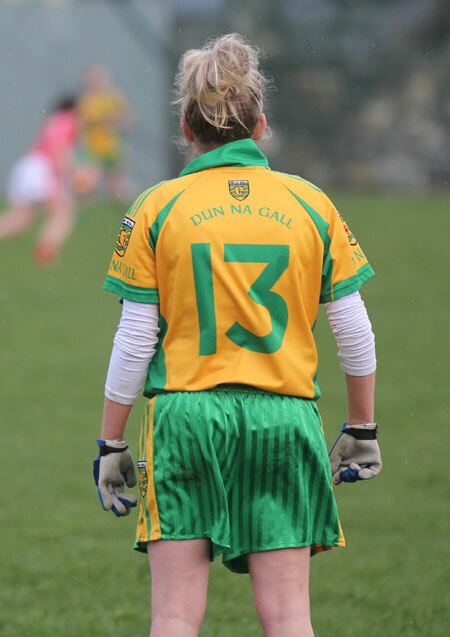 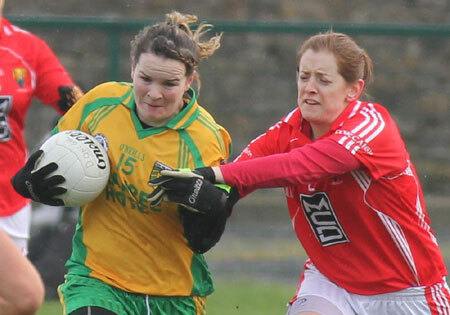 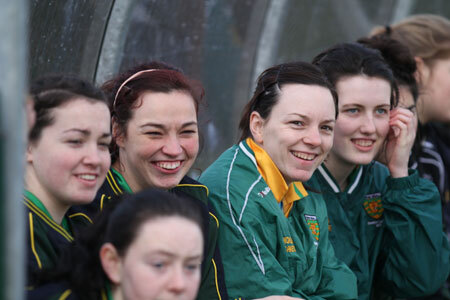 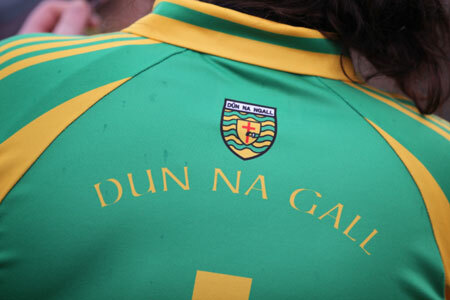 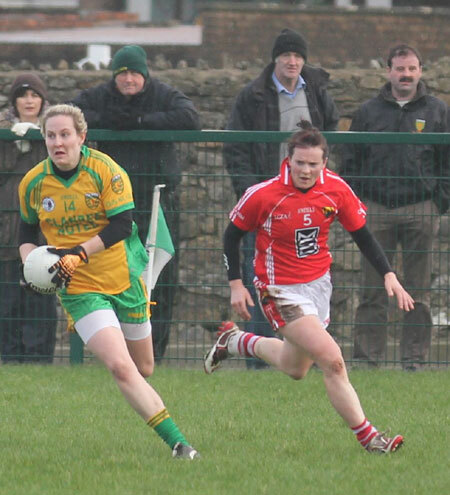 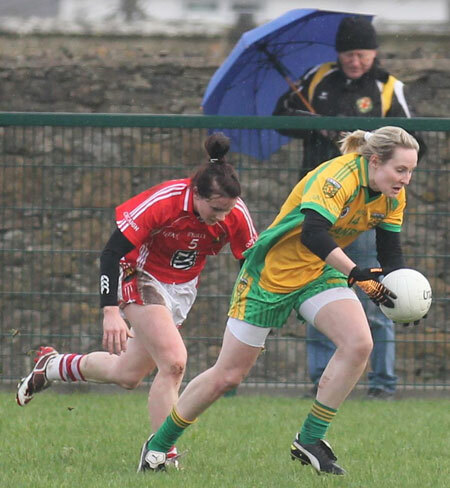 Donegal passed up two clear goal opportunities in the first half and put a third off the cross bar in the second. 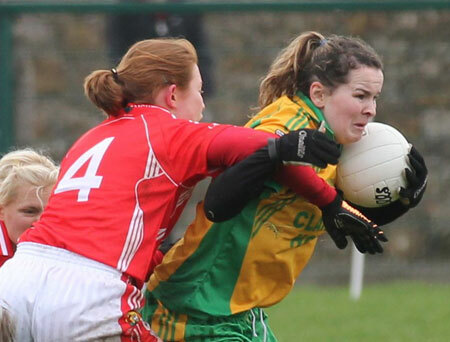 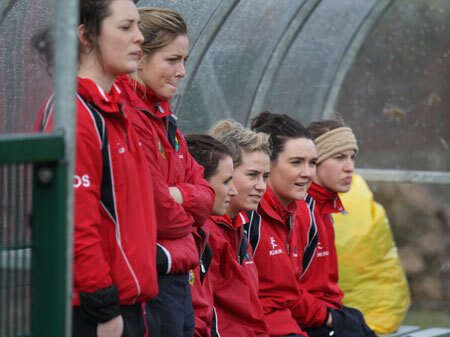 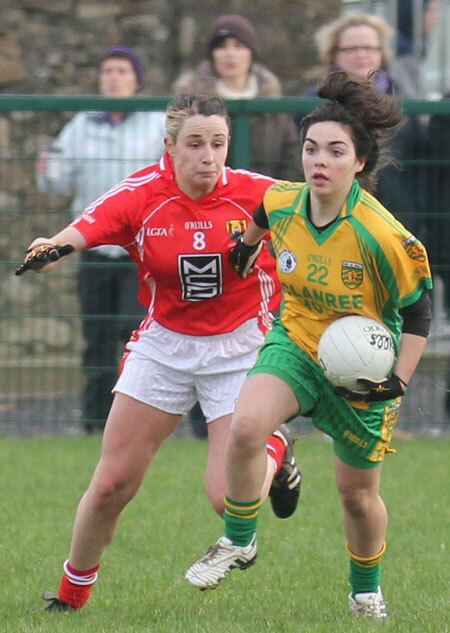 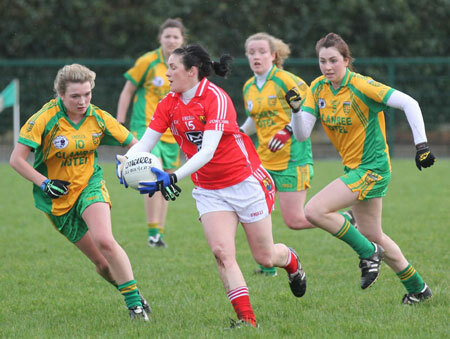 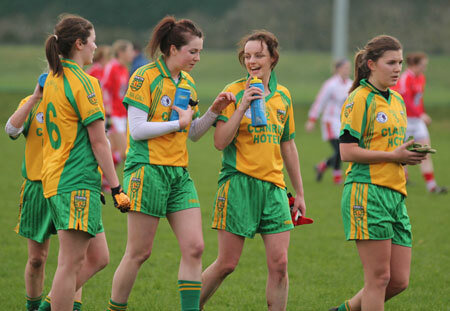 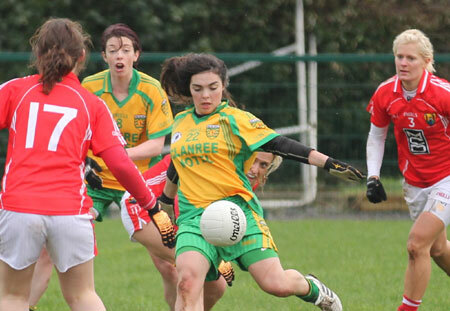 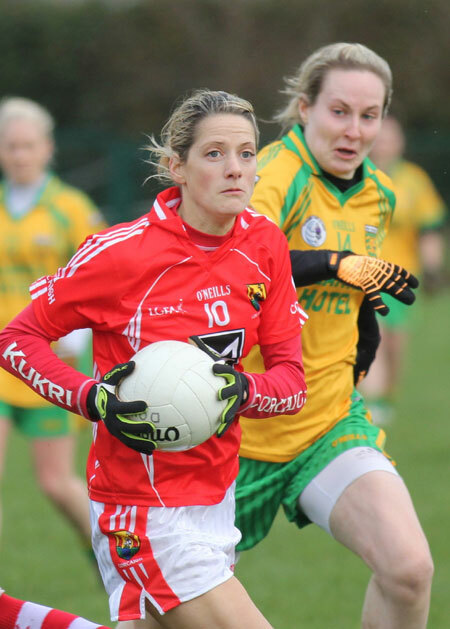 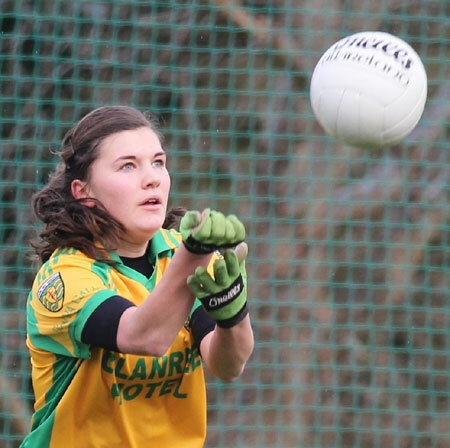 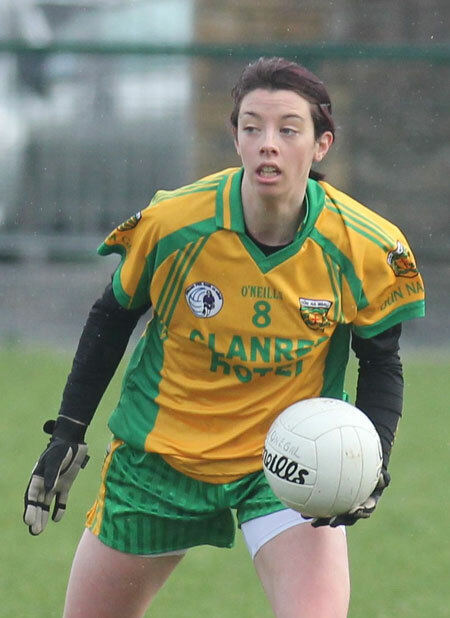 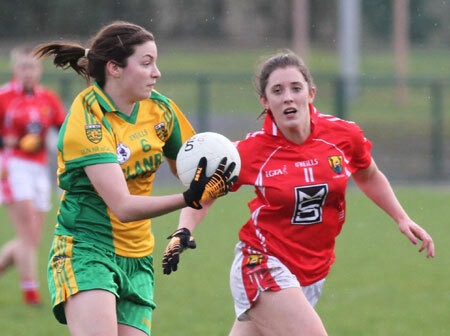 Geraldine McLaughlin ran up 1-4 for the Tir Chonaill girls, but Cork's experience and goals proved the difference. 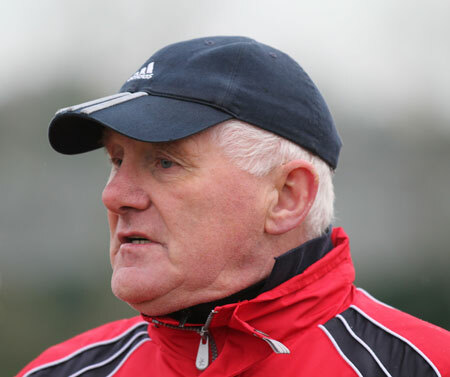 The Cork manager, Eamonn Ryan, was very gracious after the game complimenting the club the venue and hospitality.